When photographer and past PLANET contributor Samantha Casolari told us she was headed home to Italy for summer vacation, we asked if she could send back some images from her trip. The collection presented here, intimate images that exude a sense of place, friendship, and the passage of time, are imbued with Samantha’s signature sense of color and mood. They are fitting remembrance of a summer just passed. Allison Schulnik is one of my favorite artists of the moment. Over the past couple of years, we’ve covered her (here) and collaborated with her on a piece for our EARTH BY series (here). 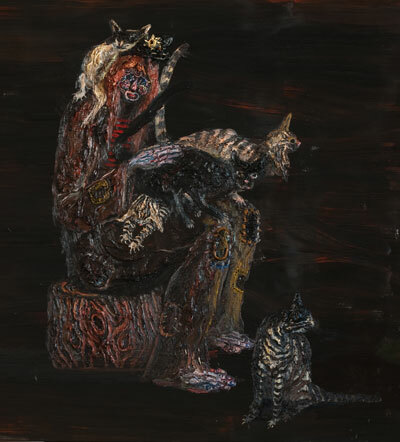 The thickly textured physicality of her paintings, combined with characters, scenes, and still-lifes that evoke equally tangible emotions, is what makes her work so unique and special to me. In a new exhibit, titled “Salty Air”, she continues to explore narrative and fable in her paintings. This body of work is inspired by old sea-faring tales, most notably the Little Mermaid as told by Hans Christian Anderson, exploring themes of freedom, solitude, and isolation. The show opened last week at the Mark Moore Gallery in Los Angeles and will be up through July 7. Allison was kind enough to provide PLANET with an exclusive slideshow of the work. 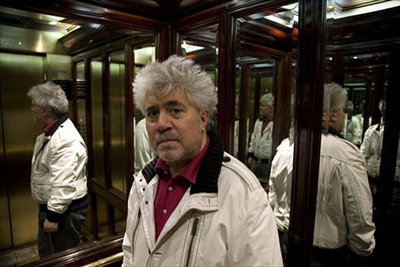 Pedro Almodóvar was recently in New York for the premiere of his new film, The Skin I Live In, at the New York Film Festival. Some months ago, my editors and I decided that it might be nice to meet occasionally with non-New York artists as they’re passing through town, musing that it would lend itself well to the “New York Minute” theme. Naturally, I jumped at the opportunity to meet with Almodóvar, one of the true great living auteurs. Jonas Mekas is a man who clearly loves a good archive. 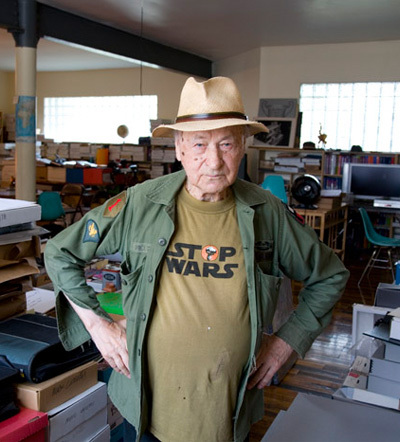 Besides being a filmmaker, artist, writer and poet, Mekas is probably the most dedicated and genre-conscious pack rat in New York City. 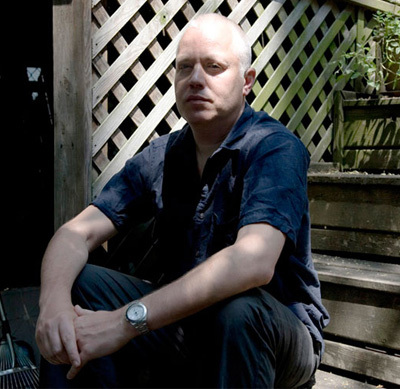 Over the last forty years he’s become widely known for being a co-founder and chief guardian of the Anthology Film Archive, the largest collection of underground and experimental film in the world. So it shouldn’t have been a surprise when I arrived at his Brooklyn loft the other week and discovered the entire space filled with loosely stacked boxes, folders, photographs, glassines and slides of cut film reels, writings, poems, magazines, posters, and so on. They covered every available surface. Books and binders lined the walls. Nothing was overly fastidious or ordered – in fact, the stacks were actually rather loosely assembled – but there was nothing messy either. And Jonas knew exactly where everything was. At first, I was confused. I thought perhaps he was housing a portion of the Anthology Film Archives in his own living room. But he assured me he wasn’t. This was his own work, he said, a lifetime of thought and creativity and its artifacts. The next logical thought that came to mind was, How did he live here? There seemed to be no place to relax, recline, or spread out a big feast for family and friends. There was nowhere to not work. But after only a few minutes visiting I realised this is how he lives. Mekas is so consumed with the art of documenting life and collecting its leftovers that it has become entirely second nature to him, as automatic as breathing air. It looks like another one of the city’s shadowy artistic demoiselles is about to take a turn in the limelight. 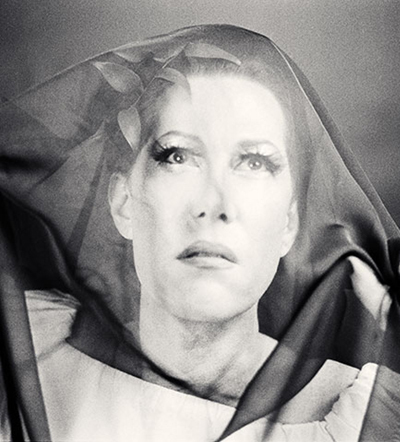 If anyone is the talk of New York City at the moment it is Justin Bond. A tall, blond, transgender cabaret signer, Bond worked his way up through the San Francisco and New York performance undergrounds as part of a duo lounge act called Kiki and Herb. The act, which centered around Bond’s character Kiki, an aging, bitter, alcoholic singer who was as poignant, raucous and funny as she was tragic, developed a cult and critical following which led them to Carnegie Hall and a stint on Broadway, earning Bond a Tony nomination. Now he has a much-awaited debut album coming out tomorrow, and he’ll be performing his new solo show at the Bowery Ballroom to celebrate. Recently, Bond received a glowing critique in The New Yorker that called him the greatest cabaret artist of his generation. His act is witty, raunchy, confessional, political, and redemptive – just like good cabaret ought to be. It’s also full of personal tales of life, love, art, and identity that speak to the struggles of becoming fully human in this world, particularly if it’s not clear what invisible box you fit into, and that offer a cathartic peace and connection to many in the crowd. Last week, just a few days ahead of the release and show, I was able to ask Justin a few questions. New York photographer Josef Birdman Astor is known among his peers as a “photographer’s photographer”. His work is revered for its technical mastery, ultimately made invisible by a beautiful use of light, shape, and concept. 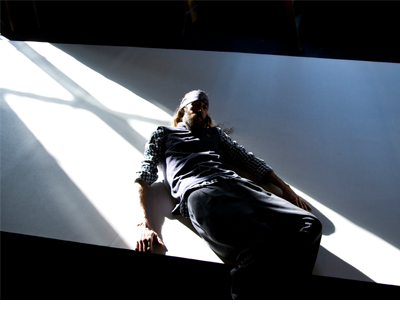 With the premiere last week of his first film – a documentary titled Lost Bohemia – he is now, too, an artist’s artist. 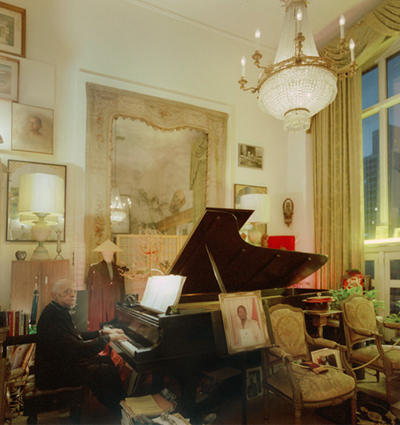 For years, Astor was a resident of the Carnegie Hall Artist Studios, inhabiting one of only a handful of skylight residences atop the legendary music hall (160 studios were commissioned by Andrew Carnegie shortly after the hall was built to help foster the arts in America and New York City). For over 100 years, they have given innumerable artists and students an opportunity live, explore, study, and create – and they added immeasurably to the cultural heritage of the city in which they existed. Throughout the 20th century, some of America’s most important artists either lived, worked, or studied in the studios: Mark Twain, Marlon Brando, Isadora Duncan, Grace Kelly, Leonard Bernstein, Martha Graham, George Balanchine, James Dean, and from the 80s onward a number of well-known contemporary actors studied there including Michael Douglas, Denzel Washington, Mira Sorvino, and John Turturro. Now the two towers are being gutted and many 19th century staircases, skylights, and other architectural jewels will be destroyed to make way for new corporate offices, music classrooms, and a private rooftop terrace for trustees and donors of the Carnegie Hall Corporation. The first time I heard the name Paz de la Huerta I assumed she must be very famous and that I had simply missed her on my radar. Her name has that ring, that majesty; it’s the kind of name you want to repeat to yourself out loud, just for the pleasure of hearing it. De. La. 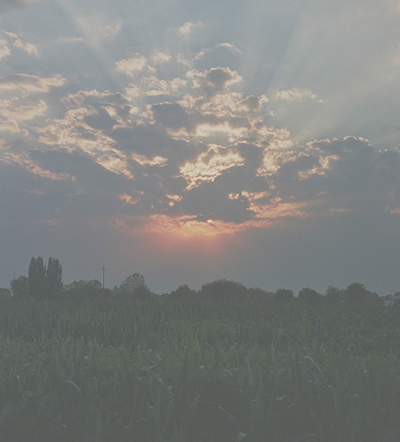 Huer. Ta. Did Nabokov name her? Like all European names, the “de” suggests a lineage descending from aristocracy. Maybe it’s that same background that has made it possible for Paz to be so nonchalantly late today. Who knows? In any case, somewhere out there, among the jostling, overambitious hoards of Manhattan, making her way from Midtown to Tribeca, where I wait for her, walks a beautiful young actress, a woman whose name means “Peace” in Spanish, and who is about to be famous beyond her wildest dreams (or perhaps exactly like them). When Paz finally arrives, exiting onto the floor from a vintage 1930s-era elevator carriage, she is damp with August heat, the sweltering greenhouse reality that has been our New York summer. It’s not the most flattering way to meet a starlet, but Paz pulls it off with an aplomb that is serene and unapologetic. After a brief greeting she excuses herself to the washroom, douses her face and hair with cold water, then curls up in an armchair, sufficiently cooled.